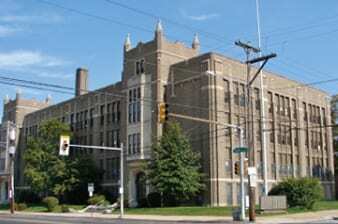 Universal Creighton Charter Elementary School (UCCS) is a community enriched educational institution serving Philadelphia students in grades K through eight. Our goal is to teach and model skills that enable students to work cooperatively with others while respecting the diverse culture in which they reside. UCCS scholars are educated in an academically rigorous environment that provides community resources and extracurricular opportunities designed to nurture their development into well-balanced adolescents who are empowered with positive self-images. For more information, contact the Universal Creighton Charter School at (215) 537-2531 or send us an email.